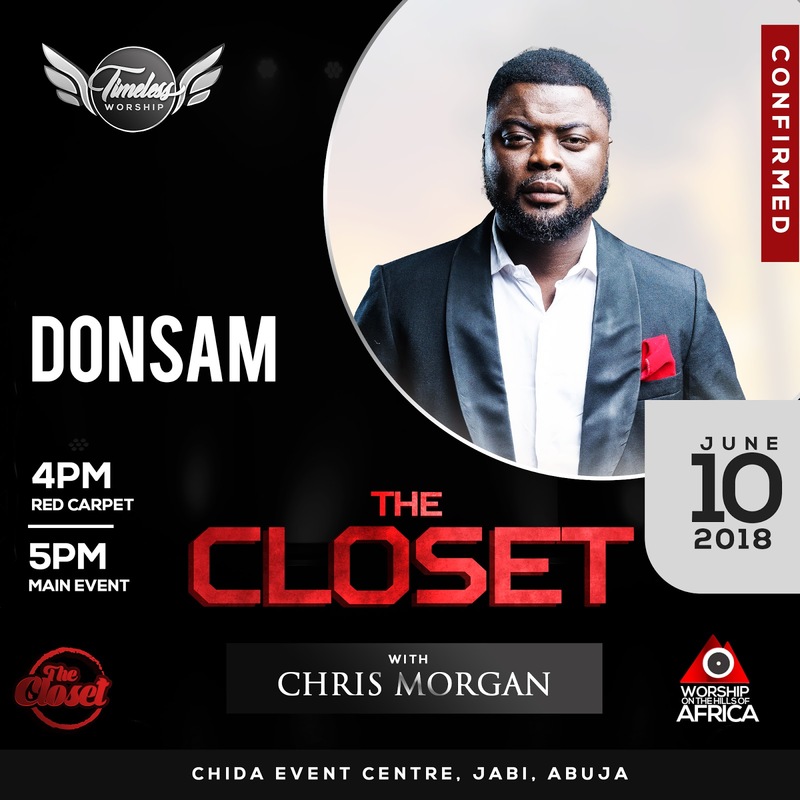 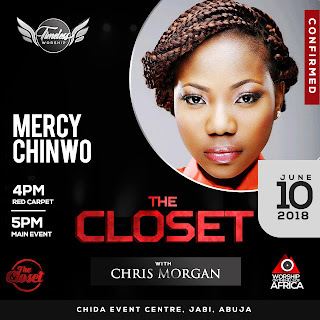 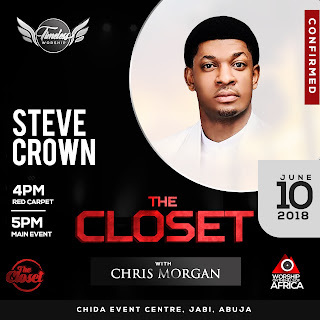 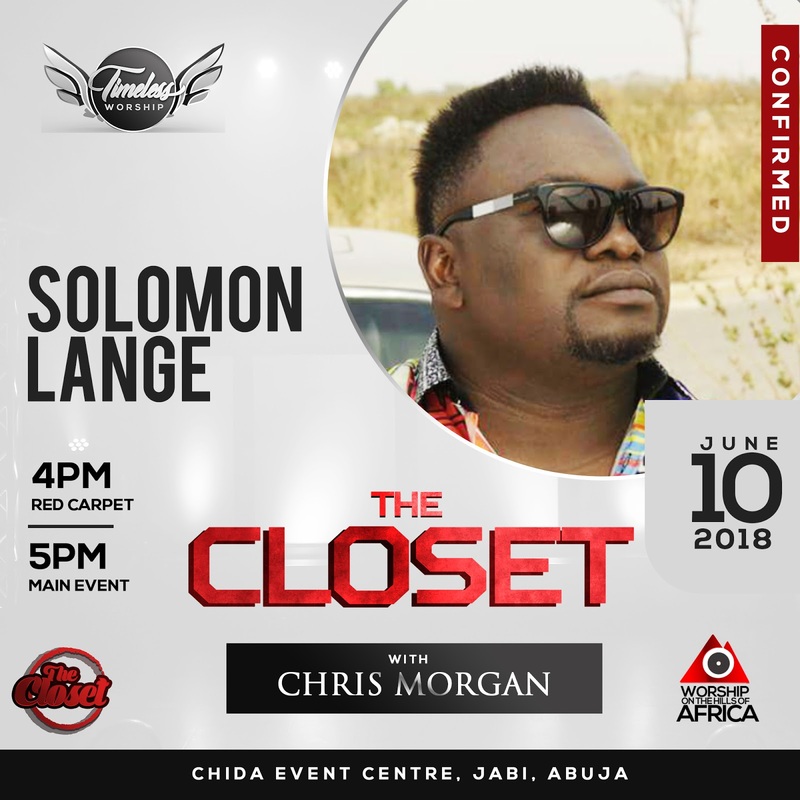 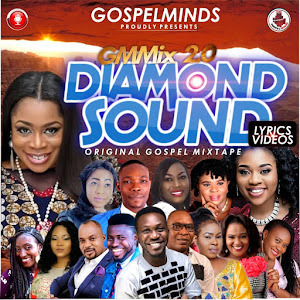 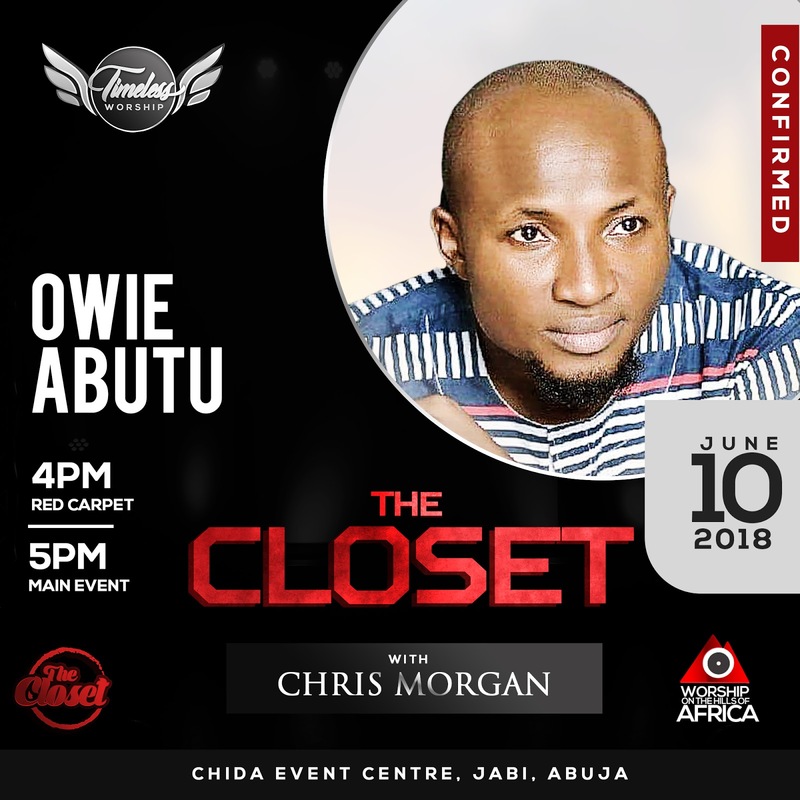 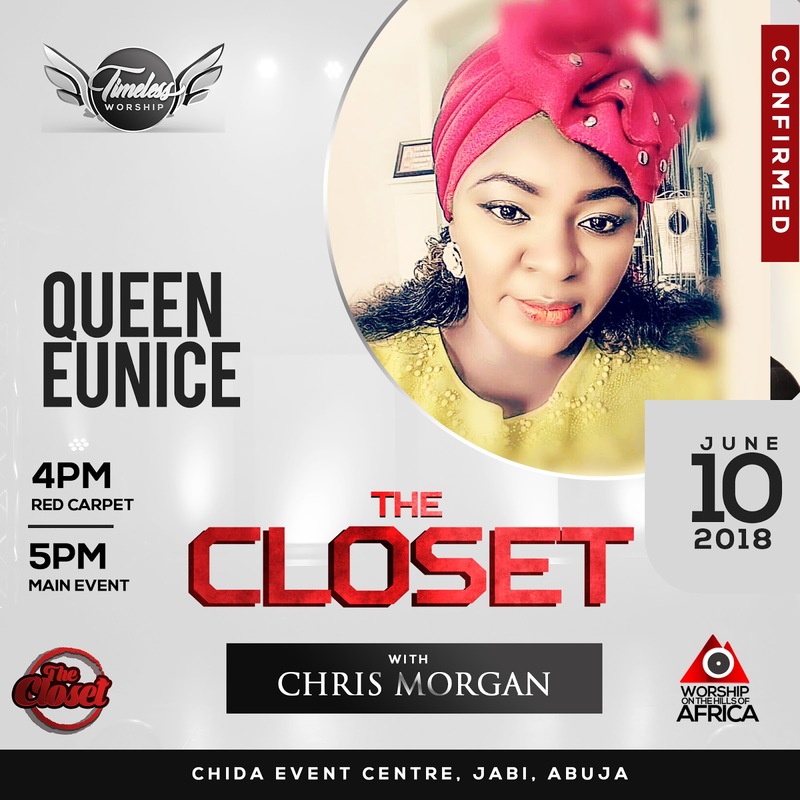 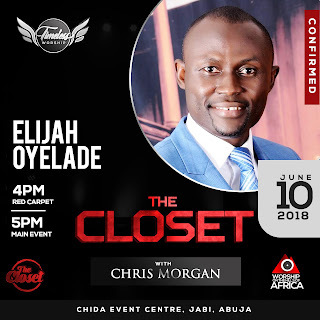 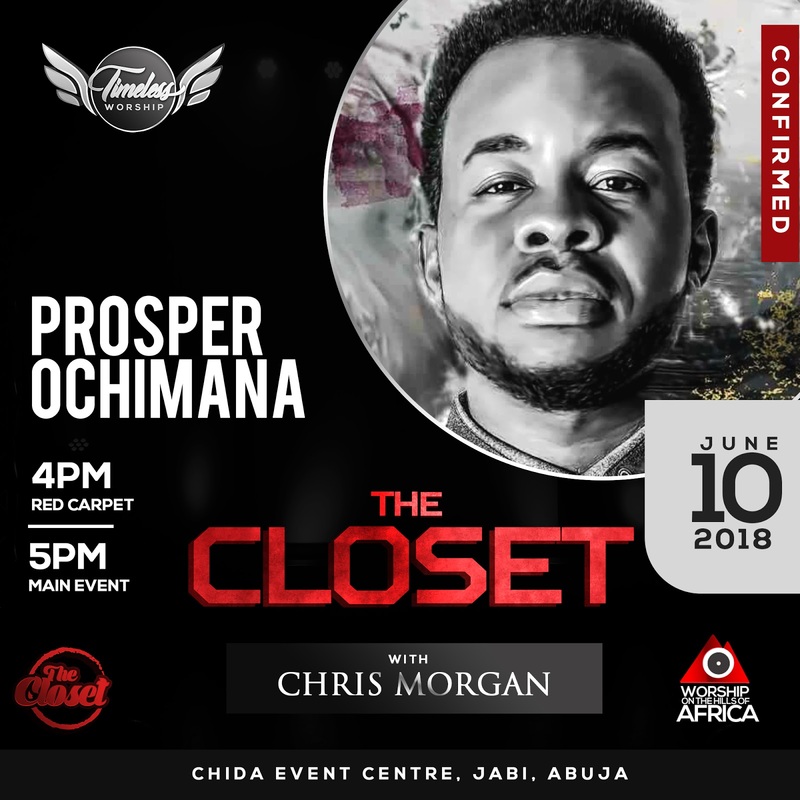 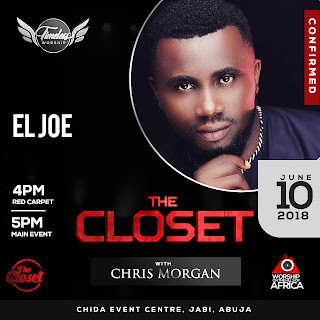 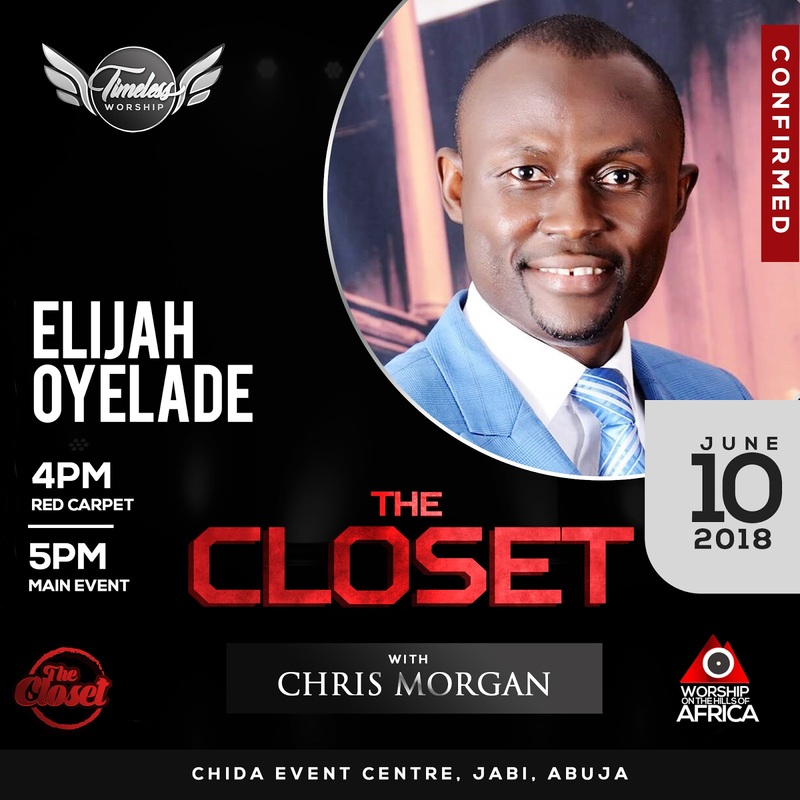 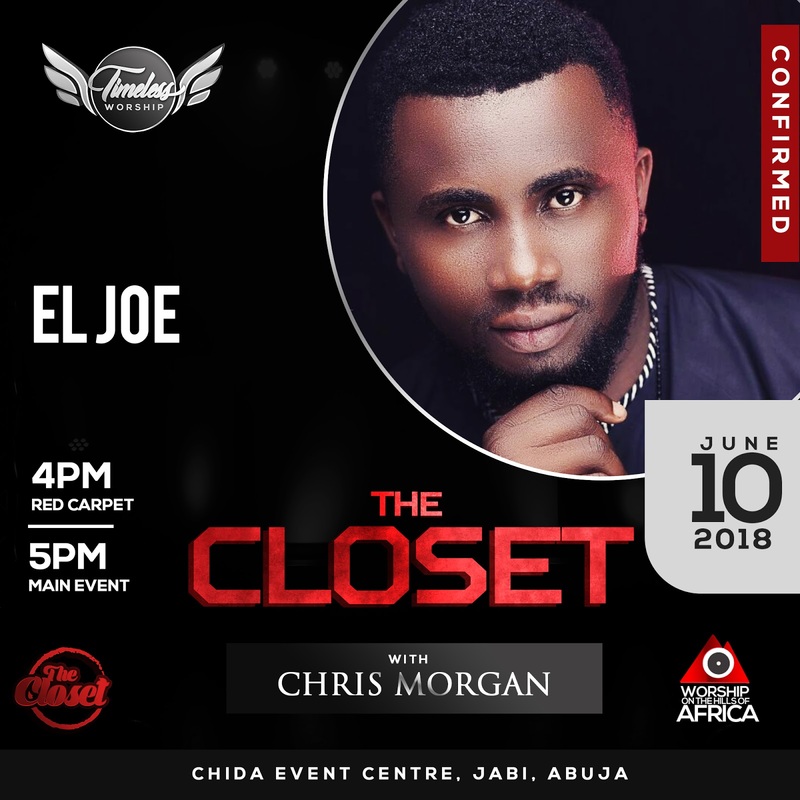 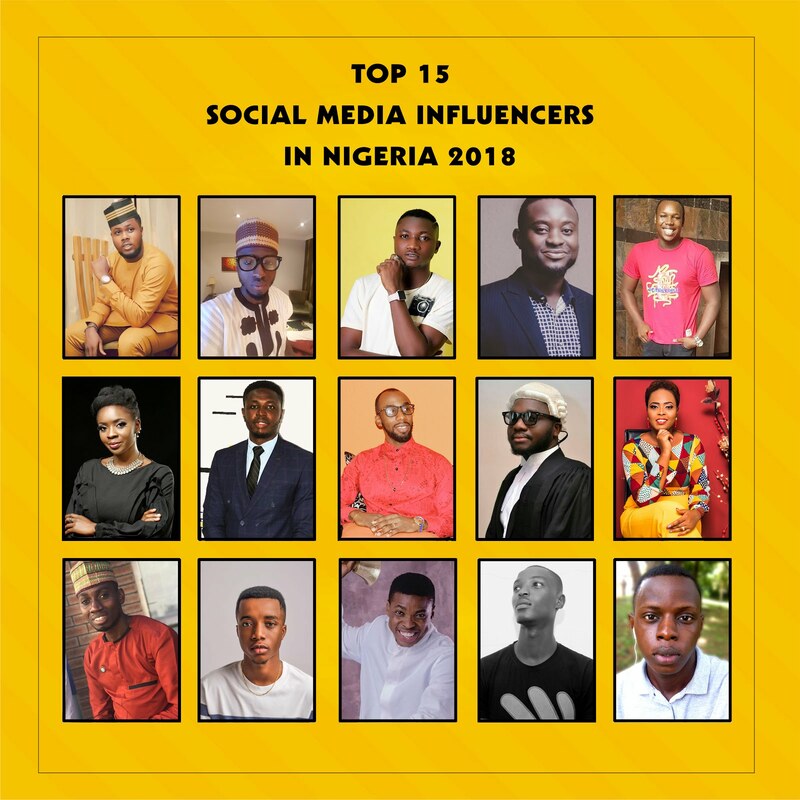 Indisputable Nigerian worship Leader Chris Morgan set out to host his long anticipated concert THE CLOSET at the Federal Capital Territory Abuja, Nigeria. Despite all happenings recently, preparation for the program has been stable and we are glad to announce it still holds effectively. 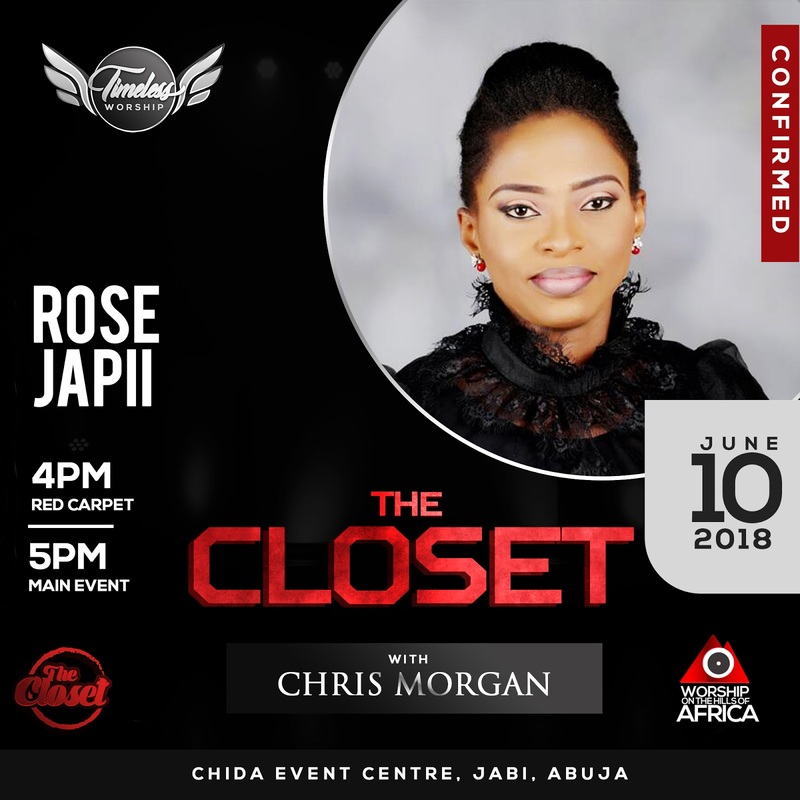 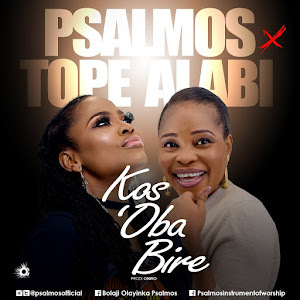 THE CLOSET (Timeless worship) is an encounter you shouldn't miss for anything in the world as anointed ministers Like Prospa Ochimana, Mercy Chinwo, Steve Crown, Samsong, Donsam, Queen Eunice, Naomee, Solomon Lange, Owie Abutu, Elijah Oyelede, Noella and many more in and outside Abuja would be joining us for this program with Special Appearance of Apostle Johnson Sulieman and Dr. Paul Enenche. 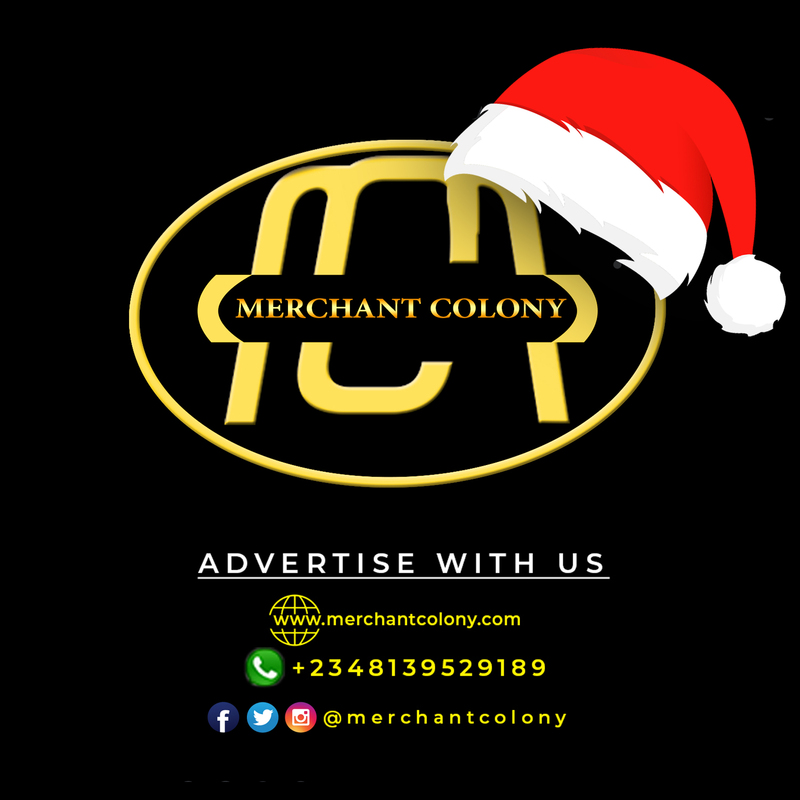 VENUE: Chida Hotels Jabi Abuja.